Thread: How to slug a barrel? Just a simple question about slugging. Anyway I am ready to slug the barrel of my .454 and I am wondering if I need to lube a cast boolit first before slugging it or can i just use the straight lead unlubed boolit and drive it through? You don't have to lube the bullet but you need to lube the bore with a good gun oil. I pretty new to some of this stuff too, but I just slugged several of my barrels lately. I used a soft lead round ball that was lubed up good. For my .45 I hit a .44 cap&ball round ball with a hammer some so it was a bit bigger and shaved off a little when I pounded it in the barrel. I can't imagine trying to pound an unlubed alloy boolit into a dry barrel; it would not be good, I think. 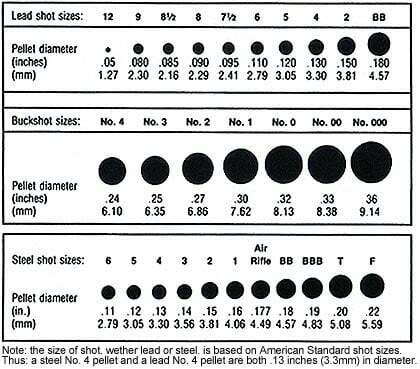 If you do a search, there are many threads and tons of info here on exactly how to do it without damaging your barrel. Here is a nice tutorial from 7.62x54.net (with pics), I use this technique with a 32 cal bullet. I lubed my bullet with Hoppes gun grease. I think I oiled the barrel normally with gun oil on a patch, put a coating of case lube on a soft, oversized lead ball, and pounded it through without too much effort. I went pretty slow and careful because I was paranoid about damaging the bore. For the revolvers, don't depend on just the vice, use some soft wood or whatever to provide as much support as possible. I cast a soft lead boolit for mine. The slugs were larger than the cylinders. I first used the to get a reading on the cylinders then used a couple for the barrel. For the autos, I just banged them through from the breach end. lubed 'em up and gave the bore a nice coating of oil. Gently hammered them through using 3/8" hardwood dowel from the muzzle end and it went great. (my calipers are not the most precise/consistent tool) so I think it's time to inherit my NOt yet dead fathers Micrometer, when he is not looking. How do you get a cast boolit out of my 308??? It's stuck can someone help me??? I have broke off a copper rod... The wooden dowel did not work... The barrel seems to not have the taper. Do you have any ideas??? muzzle protector will NEVER damage the bore and WILL drive out the slug. that the person had to make a brass drill to worry it out, all the while sweating damaging his barrel. This is NOT theory, it has happened. and if your smallest size buckshot is too large you can roll it on a flat hard surface with a flat tool kept parallel to the surface your rolling against and that will oblong it and reduce the size. Last edited by Artful; 10-30-2013 at 09:00 PM. Thanks to all for your help my gun back to normal!!! Aaa huh few!!! Thank God!!! I got a steel rod from the hard ware store and it worked!!!! It still bent the tip on that rod tho!! Wow ... Mission complete ... The size of the bore is 307. I really love doing this! Good for you! You got a tight bore there - have you measured your chambers throat? Last edited by Artful; 11-03-2013 at 12:43 AM. You sound a lot like my wife or oldest daughter. If I try to clean my oldest daughter's pistol, she'll get mad and tell me that she'll do it herself. (But she uses my rods and patches, oil and grease...) My wife is a little more diplomatic about it. Oldest daughter's daughter has her hands full of 2 young sons under 4 years old. She'll let me help her. I'm glad you got your rifle back in firing order. Congratulations !